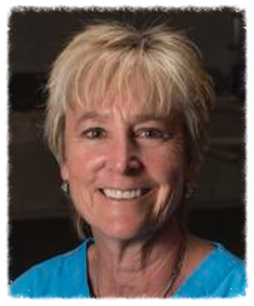 My name is Kathryn Hadfield, I have been a veterinary technician since 2002. After many years in the restaurant/catering business in Park City, Utah I decided I needed a career change and pursue my love of animals. I have owned horses and dogs my entire life, and found that becoming a veterinary technician was my calling. When I began breeding Bernedoodles in 2014, I was one of the first few breeders in the United States. Through my experience at the vet clinic, I had the opportunity to be mentored by one of the top breeders in the country. 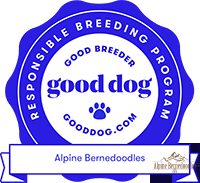 Becoming a breeder only furthered my passion to develop the best and healthiest pups I can. With my knowledge and resources, I know dogs inside and out. This gives me the opportunity to offer my families a life time of support and if I don’t know the answer, I can find it. After living in the ski resort town of Park City for 30 years, my husband Hans and I moved to Montrose, Colorado in 2007 for a change of pace. We purchased our 12-acre ranch and instead of a ski hill in our backyard, we now have an arena where I can pursue my other passion of showing Reining horses.